Descendants 2 (television) A Disney Channel Original Movie, first airing on Disney Channel and other Disney platforms on July 21, 2017. The teenage sons and daughters of Disney’s most famous villains continue their story in idyllic Auradon. Mal, daughter of Maleficent, under too much pressure to be royally perfect, returns to her rotten roots on the Isle of the Lost where her archenemy Uma, daughter of Ursula, has taken her spot as self-proclaimed queen. Uma and her gang including Harry, son of Captain Hook, and Gil, son of Gaston, try to break the barrier between the Isle of the Lost and Audadon, and unleash all of the villains imprisoned on the isle. 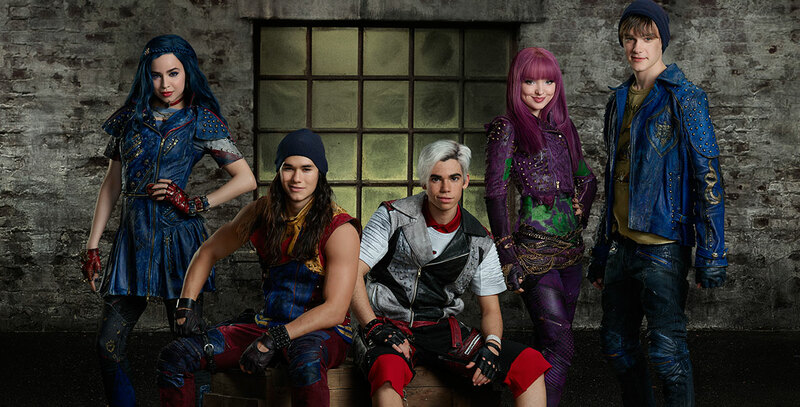 Cast includes Dove Cameron (Mal), Cameron Boyce (Carlos), Sofia Carson (Evie), Booboo Stewart (Jay), Mitchell Hope (Ben), China Anne McClain (Uma), Thomas Doherty (Harry), Dylan Playfair (Gil). A Bad Angels Production.